Six Falcon greats will become the inaugural group inducted into the Falcon Legends Hall of Fame during Homecoming Week. 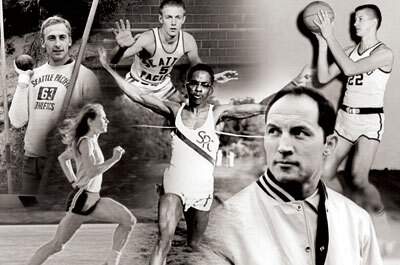 Their athletic success and character make them legendary individuals in Falcon sports history. “I’m the father of an AIDS orphan,” says Tim Dearborn, dean of the chapel at SPU, as he recounts his teenage daughter’s trip to Uganda. There she visited an AIDS orphan sponsored by the Dearborn family.